Entries for the 2019 London Landmarks Half Marathon are now sold out! Please register your interest in the 2020 event and we will be in touch when they are available. 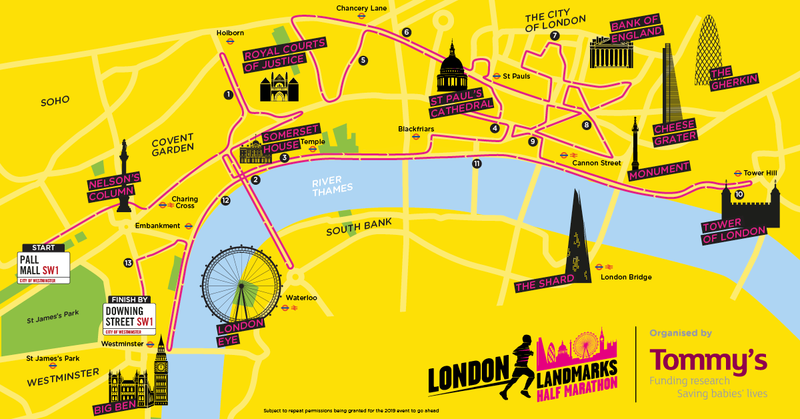 London Landmarks Half Marathon is in its second year, with information boards giving you interesting facts and themed cheer stations along the route, not to mention the wealth of landmarks you'll be passing by, there is support and motivation to keep going at every turn. The half marathon starts on Pall Mall, finishes by Downing Street and has fabulous views of London¿s most iconic landmarks including Big Ben, St Paul¿s Cathedral, Nelson¿s Column, the Gherkin, the Shard, the Tower of London and the London Eye. If you were lucky enough to secure your own London Landmarks Half Marathon place in the public ballot, we'd love for you to join Team Animal. There's no minimum fundraising pledge and you still get all the great Team Animal benefits. We have now filled all our charity places for the 2019 London Landmarks Half Marathon. Cheering groups along the route on the day, which your friends and family can join. Goodies for your friends and family cheering you on. Facebook group to talk to other RSPCA runners before the race day and share your experiences. Discover your next adventure by joining any of our exciting treks.